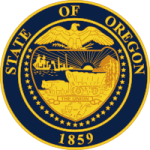 The law through the revised statutes in Oregon applies to parents who are no longer living together. It helps to clear the way for both parents, in terms of reaching an agreement don how they can contribute to child support. Once paternity is determined, the division can help the custodial parent to enforce an order against the noncustodial parent to make payments for child support. Also, it outlines the penalties that may be involved once the other parent fails to make those payments.